Dentist Sandy Springs: How Much does a Dental Crown Cost? Dental crowns cost anywhere between $900.00 and $1600.00 each depending on the tooth to being restored. In addition, the cost will vary depending on materials, complexity and the dentist’s training and experience and to some degree the location of the practice. 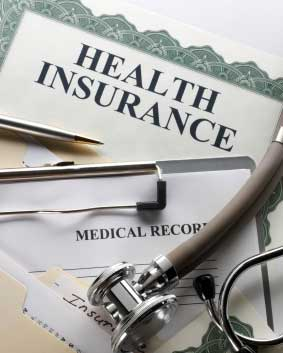 Insurance may pay part of a crown’s cost if it’s obviously needed for medical reasons, but usually crowns are covered only on a limited basis per year. Depending on the customers’ needs and wishes, partial and full crowns made of various materials may be utilized. Crowns are made of gold, porcelain, resin or porcelain-fused-to-non-precious-metal. A tooth-shaped cap (the crown) covers the entire surface of a tooth, adding strength, durability and stability. This usually requires two office visits; first to prepare the tooth, make an impression and install a temporary crown. The impression is sent to a dental laboratory or manufactured in-house with the use of a CAD aided milling machine to create the permanent crown, which is installed during the second appointment. Dentist Vinings: How much do dental fillings cost? The trick is to find a qualified, well trained dentist, and that requires you to educate yourself about the dentist you choose and a basic knowledge about dentistry. If we can be of service or answer any questions or concerns please feel free to contact us, we’re just a stone’s throw from Cobb County. For bone maintenance, the health of adjacent teeth, the longevity of the restoration and patient comfort, implant therapy is the treatment of choice. Implants can restore chewing function to the equivalent of someone with natural teeth. If you have questions or want to know if you are a good candidate for implant tooth replacement therapy, please contact us. Dentist Vinings: How Much Do Dental Implants Cost? If you are trying to figure out the ins and outs of implants verses the older more conventional methods of tooth replacement, the cost of dental implants at first blush may appear higher, and therefore, unaffordable to most people. But appearances can be deceiving if you examine the beneficial differences and the time involved by your specialist. While I have written on those issues before, let’s explore other aspects of price and how different dental implants may differ very significantly depending on different factors. The real concern for the patient is ‘where and how’ to find a low cost quality dental implant, and is most likely the driving adjective ‘low cost’ a result of the perception by the patient that teeth are utilitarian to their daily life. Quite the contrary, that’s really not the case. To put the cost into perspective, all the while considering that your teeth aren’t really as appreciated as much as they should be, let’s examine what goes into the cost of a dental implant. The traditional materials – prices of cobalt-chromium alloy and titanium are not the same. Implants from cobalt-chromium (CC) alloy rods are cheaper than comparable titanium implants, but when it comes to zirconium dioxide, then cost of a dental implant may appear to be cost prohibitive to the patient. But, depending on where the implant is being placed, you may end up with a less than satisfactory result with the less expensive CC implant. This case is a significant factor. 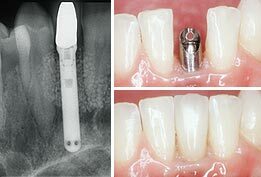 The bigger the implant, the more material, the more it costs, but also the more it may do. Also, special coatings applied to the surface of the implant, contribute to better osseo-integration with the bone, will affect the cost of the dental implant. Different manufacturers put different prices on similar rods made from the same material. Some manufacturers include some kind of an extra charge in the dental implant’s price for their brand name. This is a lot more esoteric and therefore harder to explain. It’s like trying to explain the difference between Polo and Hanes T-shirts. Finally, it may depend on where your dentist gets his implants from. And this factor may be a function of how motivated your dentist is in providing you with the best implant material for the least amount of cost to you. Some of that may just end up being economies of scale by your provider. Does your dental provider have contacts directly with manufactures in China or Israel, where the dental implant cost can be significantly reduced, while the indirect purchase of dental implants from U.S dental suppliers may ratchet up the price? The cost of an dental implant starts from around $1,500 up to $5,000.00 . Anything less may be an indicator that you’re getting an inferior product or one not designed for a particular location in your mouth. Short term, the implant device may appear to be fully functional. But if we look at the cost and the cost of other materials for dental implants compared to their operational life, the difference may be likened to the difference between Toyo’s and Michelin tires. Here again you may get what you pay for and the initial cost may appear affordable, but in the long term you are going to get a better result with respect to how it functions and how long it lasts if your provider installs Michelins. A lot of your choice and cost may depend on the choice of your provider. It’s not to say the more you spend the better you will be. Rather, a reputable practitioner, who is truly trained in the placement and restoration (and this may be two providers), may be a significant factor in what you end up with and what it costs. Trust and reputation are the more difficult factors to define for the patient. A denied dental procedure does not mean the procedure wasn’t necessary. It just means your insurance carrier won’t cover it as a benefit of your plan. Limitations in an employer’s group policy most likely result in these noncovered procedures. This is a huge problem for your healthcare provider, because your care provider is trying to do what you need and not what is paid for by your insurance carrier. To compound these denials, some policies are designed such that they do not allow the dentist charge you for certain procedures. However, that does not mean your dentist can avoid the procedure because it may be absolutely necessary as a part of your treatment. This scenario has left your dentist wondering whether or not you will pay for the services being rendered because your insurance carrier is denying a necessary procedure and lack of patient understanding. And finally, this scenario has left your dentist perplexed as to how to overcome the perception by patients that they are not being honest with them. The solution is patient ‘push back’ for the coverage you’re entitled to. Patients need to question, if not challenge the benefits they have paid for but have been denied. And patients need to recognize that the contractual relationship is between you and your insurance provider, not your dentist and your insurance provider. Your dentist has absolutely not leverage with your insurance carrier. Hopefully, this is a little helpful in understanding the difficulties in receiving your full insurance benefits. If we can answer any of your concerns or questions, please feel free to contact us. Dental Public Heath, Oral and Maxillofacial Pathology, Radiology and Surgery, Orthodontics, Endodontics, Pediatric Dentistry, Periodontics, and the least known, Prosthodontics. Prosthodontics: (crown, bridge, and implants) A Prosthodontist has a dental specialty license pertaining to the diagnosis, treatment planning, rehabilitation and maintenance of the oral function, comfort, appearance and health of patients with clinical conditions associated with missing or deficient teeth and/or oral and maxillofacial tissues using biocompatible substitutes. Most dentists are not trained prosthodontic graduates of a dental school – rather they take short continuing education and utilize trial and error experience to be able to understand how size, shape, color and symmetry all work together to create what a prosthodontist is trained in their post graduate work. On the other hand, the prosthodontist is trained at a university to create the smile that implements the use of veneers, crowns, bridges and the increasingly more common procedure of dental implants to ensure that the right smile is achieved, both functionally and aesthetically beautiful. If anyone has a specialty in cosmetic dentistry, it would be the prosthodontist. So when you are seriously looking for a cosmetic dentist, look for a prosthodontist.